The Big Wobble: Bomb explodes outside the Brussels Institute of Criminology in Belgium: Conflicting reports! Bomb explodes outside the Brussels Institute of Criminology in Belgium: Conflicting reports! Belgium's Institute for Criminalistics and Criminology in Neder-Over-Heembeek in Brussels has been the scene of an attack. Several attackers are believed to have been responsible for an explosion. VRT News understands that the attackers poured fuel into the building and set it alight. What exactly happened is not entirely clear. Around 2AM a delivery van drove onto the site of the Institute. Early reports spoke of an explosion, but now it is thought that there was no explosion, only a fire. The attackers are thought to have used the delivery van as a ladder to gain access to the building and pour fuel from a jerry can into it. The van too was set alight. Firefighters rushed to the scene to put out the flames. There is considerable damage, but nobody was hurt. "The explosion was extremely powerful." "Windows of the lab were blown out." 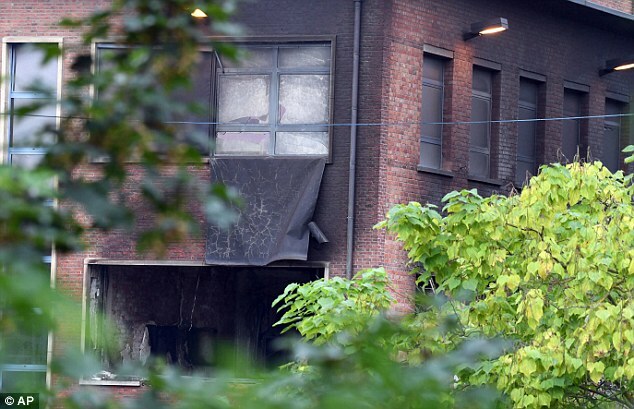 The prosecutors' office declined to speculate on the cause of the explosion at the Institute of Criminology in a Brussels suburb. Belgian media said the blast was caused by a car which rammed the building. "The explosion was extremely powerful," said Meys. "Windows of the lab were blown out dozens of meters away." He said about 30 firefighters were at the scene at around 3 am local time (0100 GMT) fighting the blaze. The institute is part of Belgium's federal justice system. Among its tasks is to carry out scientific analyses linked to criminal cases and to study the functioning of the penal system. The explosion occurred with Belgium on high alert after suicide bombers struck Brussels airport and a metro station near the European Union headquarters on March 22, killing 32 people.